Another chance at love! Kaley Cuoco couldn&apos;t stop blushing as she gushed over her boyfriend, Karl Cook, during The Talk on Thursday, September 15. "I can&apos;t stop smiling. Life is so, so good," the Big Bang Theory actress, 30, said. Cuoco and Cook began dating in early March after meeting at a horse show. Cuoco has been a horse lover and equestrian for years. "I finally found my horse guy. It was very meant to be," she added of Cook. "He&apos;s an amazing rider, amazing equestrian and a great human. We shared a passion for horses and dogs … It&apos;s been lovely." Cook is Cuoco&apos;s first serious relationship since she ended her marriage to tennis pro Ryan Sweeting last year. (As Us Weekly exclusively reported, she briefly dated Arrow star Paul Blackthorne in December 2015.) She and Sweeting announced they were splitting after 21 months of marriage in September 2015. They had a prenuptial agreement and finalized their divorce this past May. "Even deep down [I was] like, &apos;I know this is just not the right thing.&apos; I knew it, I knew it, I knew it," Cuoco reflected on Thursday. "Even when I went through my big breakup … I might have said some things like &apos;I&apos;m never gonna love again, I&apos;m never gonna get married again.&apos; The people that know you best, they know my heart … That&apos;s just not me." She added: "I&apos;m just glad I got through it. I couldn&apos;t be happier." Back in May, the 8 Simple Rules alum shared the same sentiment during an interview with CBS This Morning. "You know what, I&apos;m not ashamed of anything that happened. I fall in love really hard, I do. I go deep. That person is it for me. And I love hard, and when it&apos;s over, it&apos;s over, and some people make mistakes," she said of the breakup. "[I] wouldn&apos;t call it a mistake, it just is what happened in my life, so I&apos;m excited to see what the future holds." 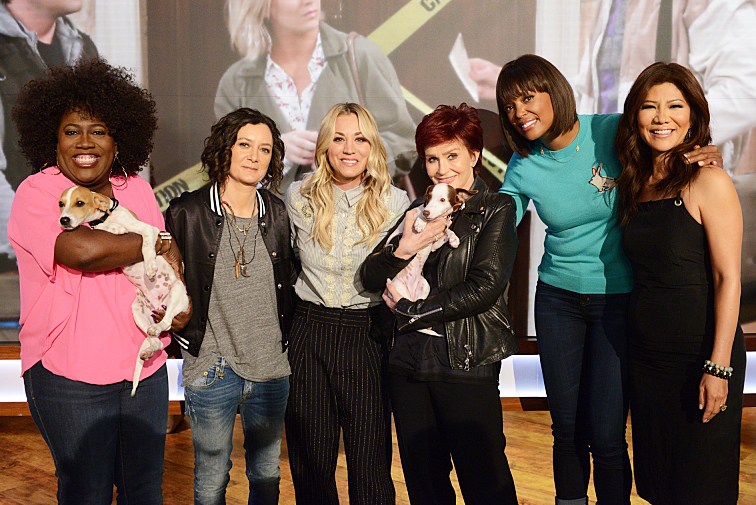 Watch Cuoco on The Talk in the video above!